WE CAN DELIVER THIS INCREDIBLE MERCEDES-BENZ CL600 TO ANY DRIVEWAY IN THE COUNTRY! VISIT OUR WEBSITE AT WWW.SHOPRIGHTCHOICE.COM TO SEE 80 PHOTOS, THE FREE CARFAX, AND MORE INFO ON THIS SPECTACULAR FIND! 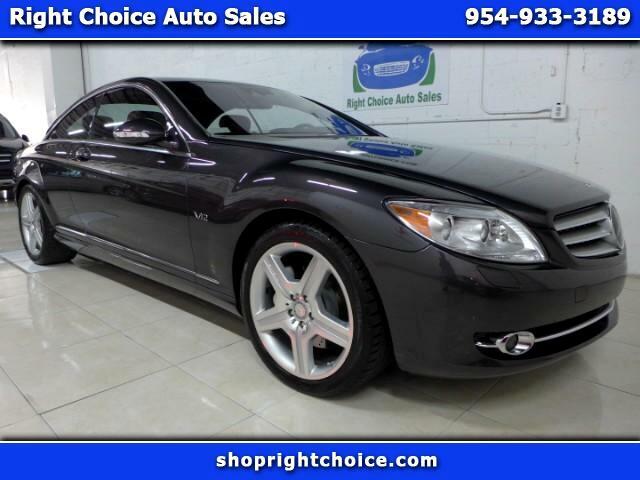 THIS $150K CL600 IS LIKE NEW WITH ONLY 16K MILES, WAS FORMERLY OWNED BY THE OWNER OF THE BOSTON RED SOX, WAS KEPT IN A CLIMATE CONTROLLED GARAGE, AND IS TRULY A SUPERIOR AUTOMOBILE. THIS IS DEFINITELY THE ONE YOU WANT TO OWN. DON'T MISS IT.